As a seventeen year old he played in the 1962 Lancashire Cup Final when Saints defeated Swinton by 7 points to 4. In the 1964/5 season he emerged a s the regular left centre to flying springbok Len Killeen. He played in this position in the 1964 Lancashire Cup Final and picked up a second winner`s medal, again the vanquished were a then paranoid Swinton outfit. Billy was an integral member of the side that won four cups in the 1965/6 campaign. 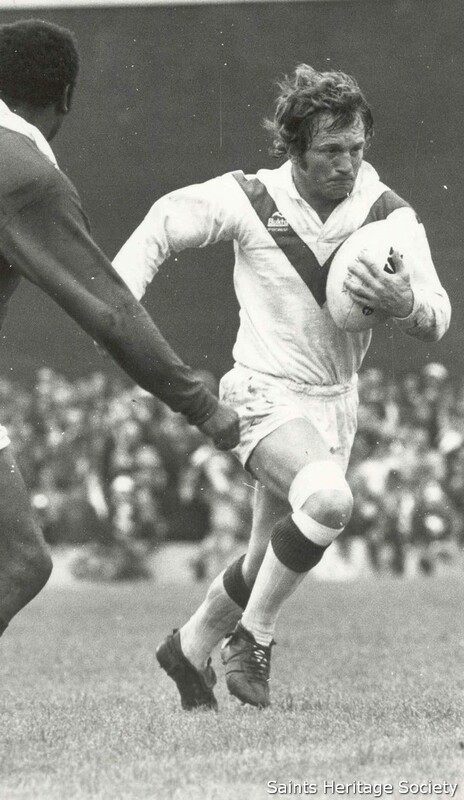 In the 1966 Challenge Cup Final demolition of Wigan, Billy received a neat pass and deftly grubbered the ball behind the Riversiders` defence for a flying Killeen to pick up and dive across the line in one movement to score a sensational try. This victory was followed one week later with a resounding performance in the Championship Final against Halifax. Billy`s guile and speed helped destroy the Yorkshiremen by 35 points to 12. His service to Killeen was exquisite and provided the South African with ample scoring opportunities which more often than not were gleefully taken. Billy was a consistent player throughout his career but arguably his finest form was in the late sixties and early 1970s. His game awareness had reached maturity, Billy`s ball skills were their sharpest and he even seemed to have gained an extra yard or two in pace. The 1969/70 season culminated in the 1970 Championship Final 24 points to 12 victory over Leeds. The following campaign was to thrust Billy into the limelight. His tryscoring prowess was at its peak and Billy had developed a party piece with several brilliant interception tries which served to highlight Benyon`s impeccable timing and reading of the game. 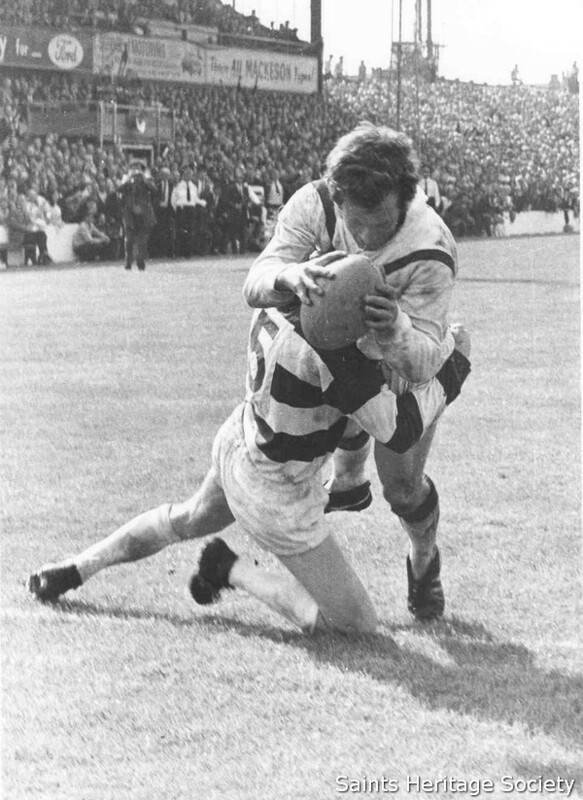 The ultimate climax occurred for Billy and the Saints at the end of this campaign when Saints were matched against Wigan in the dramatic 1971 Championship Final. When a well-judged follow up to a Walsh drop goal attempt placed him in the right spot to catch the ball and seal the Championship for the Saints. In a landmark season for club and player, Billy ended the season with 22 tries and had gained two Great Britain caps. 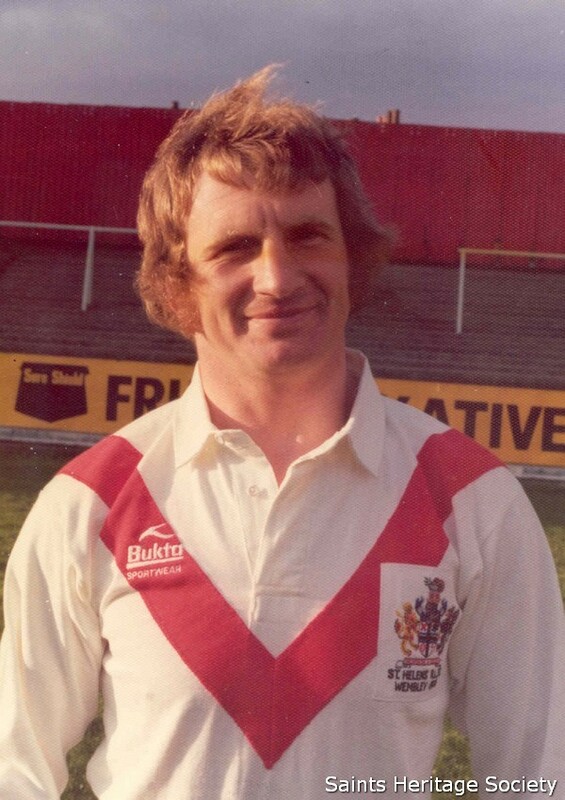 He was part of the side that carried off the 1971 BBC TV Trophy in the 8 points to 2 Final victory over Rochdale Hornets and a key member of the 1972 Challenge Cup winning side that defeated Leeds by 16 points to 13. He also made a further three starts and one substitute appearance for Great Britain.